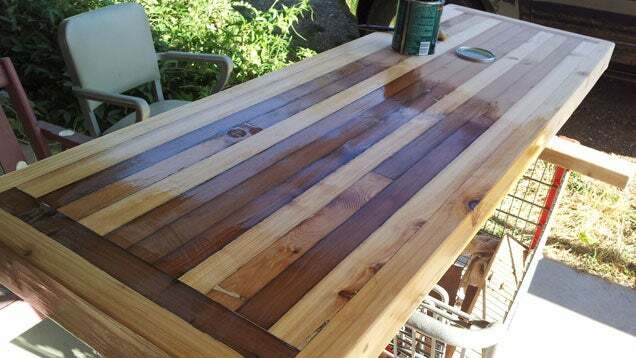 Varnish protects and beautifies wood grain furniture, but it’s difficult to apply without getting streaks or drip marks. Start with a high-quality natural bristle brush and you’re halfway to a smooth finish. In addition to a natural bristle brush, you’ll need a sandpaper block with up to three grits of sandpaper (from 100 to 220), shop vacuum, lint-free cloths and your polyurethane varnish. As with any paint job, preparation is the key to success. A finish will only be as smooth as the wood underneath. You’ll to sand your wood surface with multiple passes of coarse to fine grit sandpaper and then remove all dust with a vacuum and cloth. After you have a smooth surface, you can start applying the varnish. Make sure you are in well ventilated area that is clear of dust and other airborne particles. For the step-by-step instructions on perfect application, check out the link below.